Italy embraces you with vitality and the pleasures of life. Sample it most sweetly by bicycle or on foot. Varied regions burst with style, art, history, food and la dolce vita. In Tuscany, perfectly proportioned villas framed by elegant cypresses cap lines of hills. Savour famous wines and nibble toothsome antipasti, explore mysterious Etruscan towns. 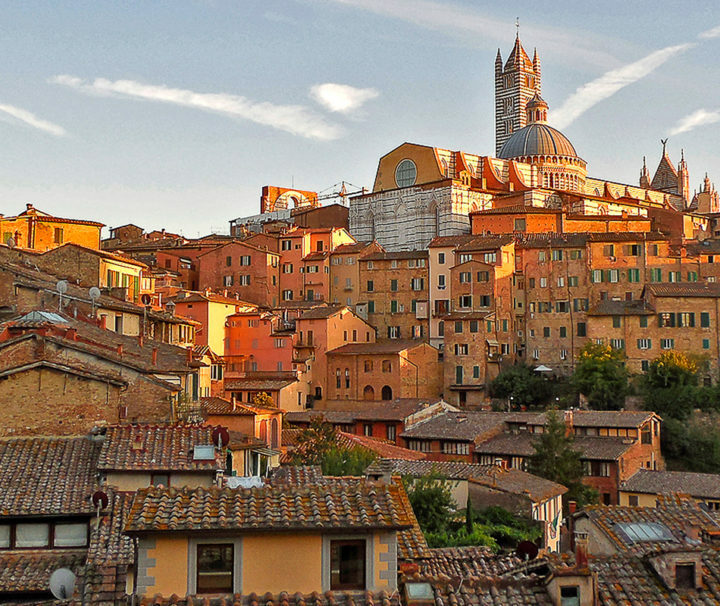 Stroll across Il Campo in Siena, rich with red brick, and pedal over roller-coaster hills with breathtaking views. Follow timeless walking paths through a landscape that has inspired travellers for centuries in the Cinque Terre or in Tuscany. In Umbria explore the enchanting villages of Torgiano, Assisi, Bevagna and more. Sip sparkling prosecco and sample seafood risotto as the stars wink overhead. Bellisimo! 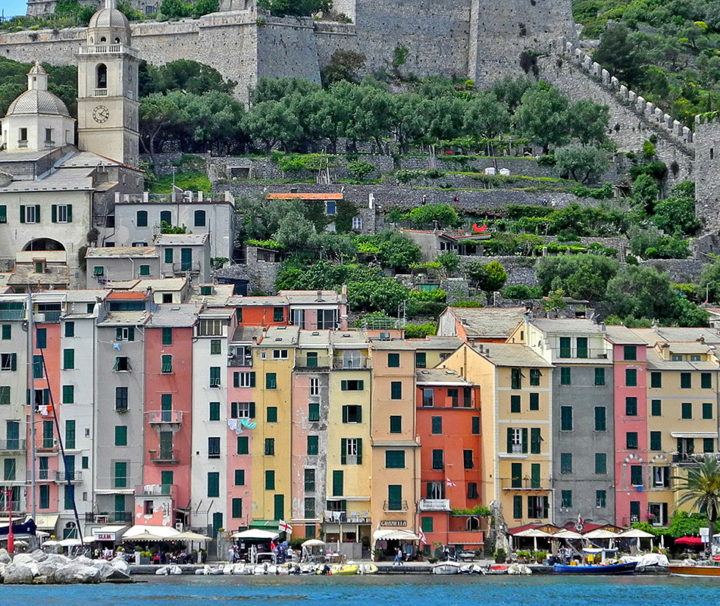 Welcome to the Ligurian Coast — the jewel of the Mediterranean! Become entranced by the seductive charms of this stunning coastline. Feel the heat of the sun as you walk through terraced citrus orchards and vineyards high-above the sparkling blue waters of the sea. Breathe the aroma of freshly baked foccaccia while meandering the cobbled streets of tiny cliffside villages. Embrace the contrast between Santa Margherita’s stately villas and chic boutiques with the tranquility of Mediterranean oak forests teaming with butterflies, birds and wild flowers. Delight your palate each night with traditional pastas and fresh seafood while sipping a crisp Ligurian white. Discover this most exquisite. The 2019 Giro D’Italia is much anticipated this year with a roster of pros eager to compete for the coveted pink jersey. Chris Froome has committed to racing and will attempt to complete a career triple crown of Grand Tours, a feat only six riders in the history have achieved. Our 7 day trip will start from Milan with a 9 am meeting and transfer to Iseo to begin riding towards Lake Garda. We will see 5 stages live on this trip so you will be up close to the action to get your fill of the excitement of this Grand Tour. Each of our trip hotels is close to the race course, so this means less driving time and more time riding. We accommodate a variety of riding abilities- each day we will present options so that you can challenge yourself to the level that YOU want to. We include amazing meals, wine tastings, and other events that promise to make your trip the best possible. And because we operate our own trips, the only surprises will be good ones. Join us in 2019? 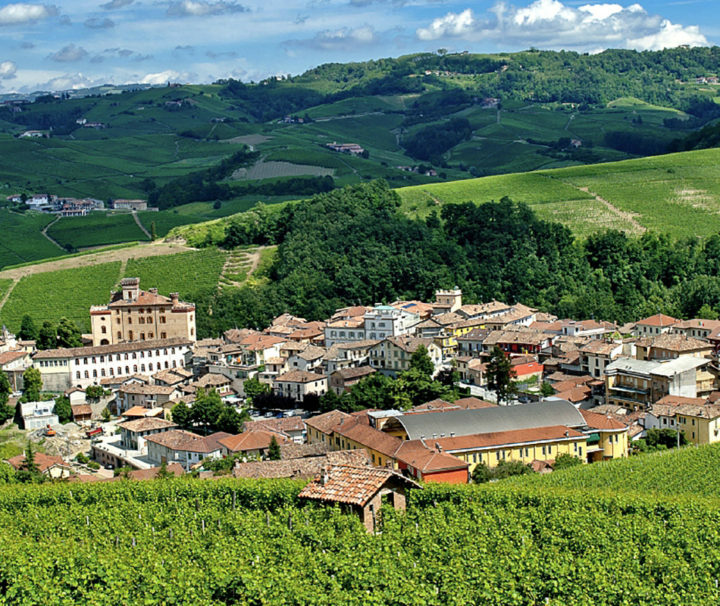 Piedmont, known for the Slow Food Movement creation, white truffles and some of the most sought-after red wines in Italy, including the robust full bodied Barolo and Barbaresco, are luring travelers who seek its charms (and tastes). With the rugged Italian Alps as a back-drop, the quiet roads of this region with moderate rolling hills provide the ideal terrain for all levels of cyclists. 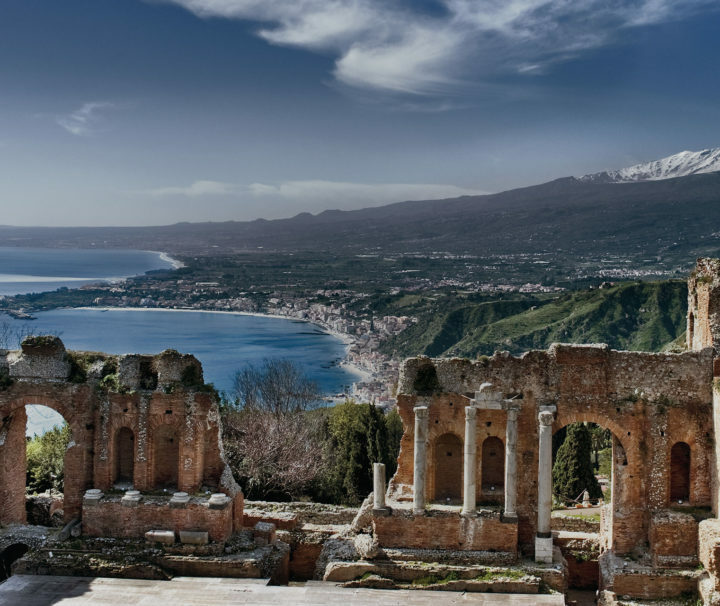 On this trip there are opportunities to experience small villages, Roman remains, medieval castles and superb cuisine as we journey through this delicious region. We were introduced to this corner of Italy by one of our Italian guides who lives in the region and has long boasted of its stunning scenery, ancient traditions and some of the best food in Italy. 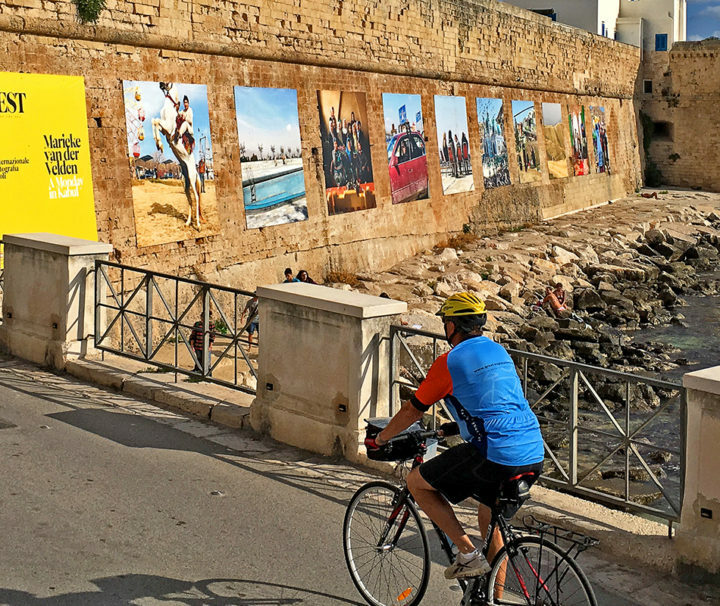 With the Adriatic as a back-drop, quiet roads to cycle, and fascinating sites including the enigmatic trulli in Alberobello we were easily convinced to create a trip. Beginning in Monopoli and finishing 7 days later in Otranto you’ll see the best of this region, all the while enjoying distinctive lodging and exquisite meals. Buon appetito! Puglia is a land of dazzling light, historic villages, a vast blue sea. Orchards, olive groves and vines cover the landscape and quaint villages of whitewashed homes and fairytale-like trulli invite discovery. 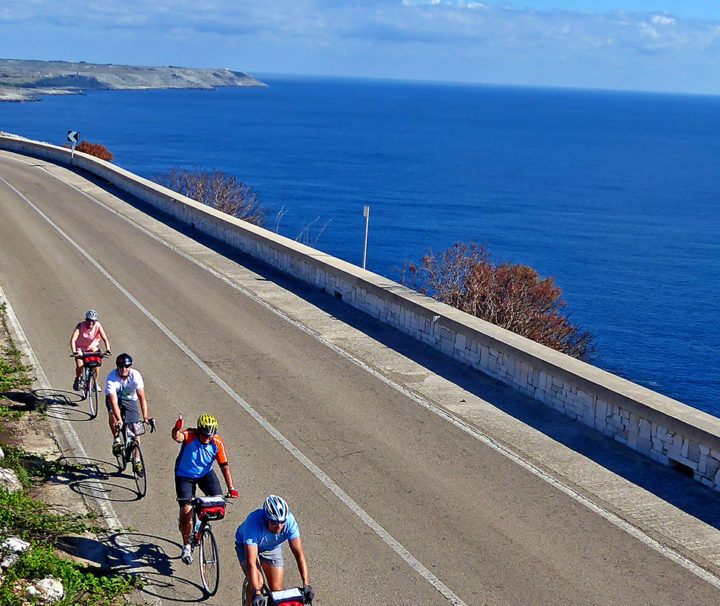 Cycling along the Adriatic coast is sublime and the cuisine, with abundant fresh seafood and imaginative pasta dishes are the reward for each day's journey. Best of all are the people, who have lived here away from the rush of life in other parts of Italy, eager to welcome you into their hearts. Benvenuti. 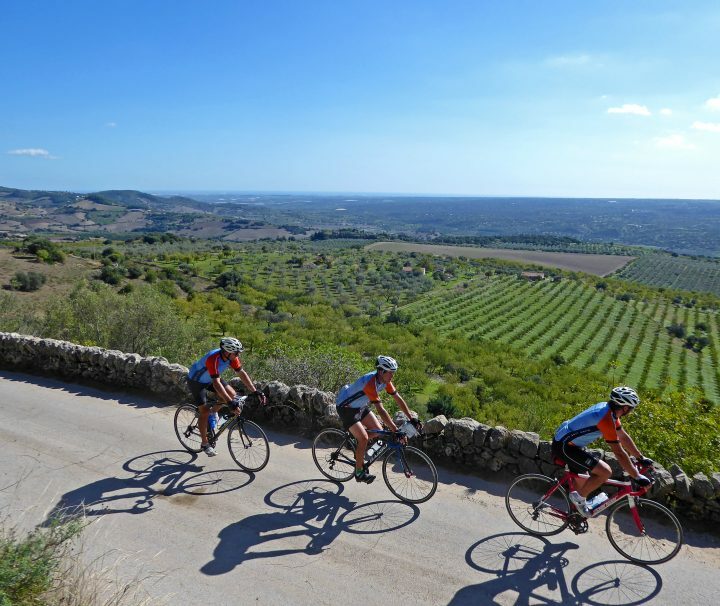 Described as the Mediterranean’s most alluring island with sweeping olive-strewn landscapes, starkly beautiful Greek temples and Byzantine mosaics, this island in the sun offers outstanding food and culture and interesting cycling routes. Our itinerary includes overnight stops in Ragusa, Noto, and Syracusa, staying in charming and authentic lodging. Be prepared for some climbing and the reward of sweeping descents, along coastlines and through villages that throw out the welcome to visitors, especially those on bikes. 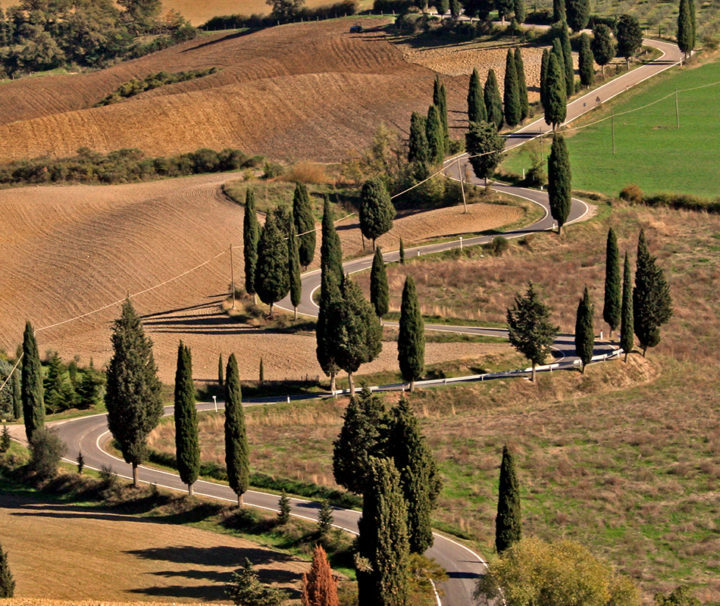 Tuscany is deservedly world-renowned for having the many elements that make for an enriching travel experience. Traveling by bicycle allows us to enjoy the subtler aspects of this region, off of the ‘touristed’ main routes into the heart that is Italy. Is this among the the most beautiful regions on earth? We think so. On our Classic trip, we stay in a combination of distinctive hotels, charming agriturismos and comfortable inns (except for Siena, all with fabulous swimming pools) and hosts that will welcome you with open arms. Enjoy! Tuscany is deservedly world-renowned for having the many elements that make for an enriching travel experience. 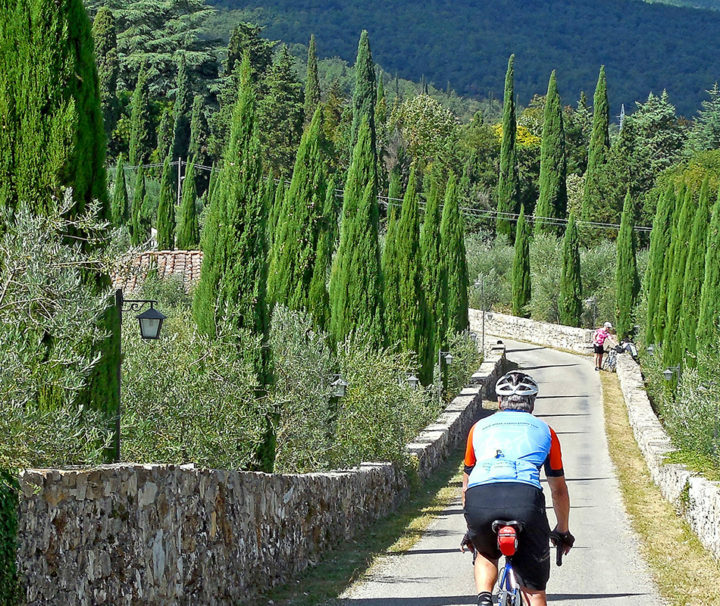 Traveling by bicycle allows us to enjoy the subtler aspects of this region, off of the ‘touristed’ main routes into the heart that is Italy. Is this among the the most beautiful regions on earth? We think so. On our Luxe trip, we stay in palaces, monasteries and luxurious properties (except for Siena, all with fabulous swimming pools) and hosts that will welcome you in style. Enjoy! Tuscany is art. Perfectly proportioned villas framed by elegant cypresses cap lines of hills. Towns and villages display layers of heritage in stately palazzi, decorated window frames, even doorknockers and wine bottle labels. Picture yourself walking in Tuscany, and imagine the delights of a guided tour.